Instrument Assisted Chiropractic Adjustments – Through the use of highly researched instrument adjusting techniques (Activator Method and Impulse IQ) (links) we are able to gently and effectively correct your subluxations and allow your body to heal itself. Our primary chiropractic adjusting technique is the Activator Method chiropractic technique that was developed in the 1960’s to improve the safety and comfort for chiropractic patients. Today it is one of the most scientifically researched techniques in chiropractic and the most widely used low force technique in the world. 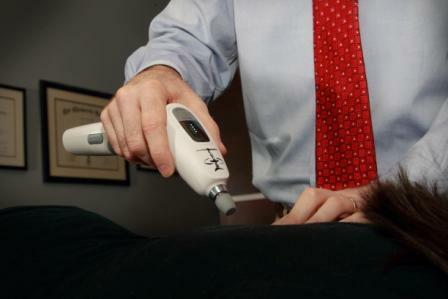 The Impulse IQ instrument is intelligent in optimizing spinal motion through its multiple variable thrusts matching the ideal spinal frequency. Through research it has been shown that low force adjusting tools help doctors effectively move specific spinal and extremity segments with the use of less force. Precise Activator Method leg-checks are used to find both spinal and extremity subluxations.